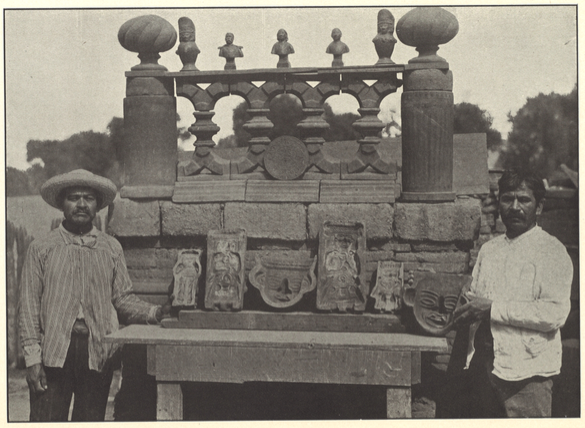 An early book on Mesoamerican artefact forgery for you to enjoy. For technological reasons that I am too frustrated to detail, I spent all of yesterday scanning just one book. The job should have taken an hour tops but the machines rebelled. 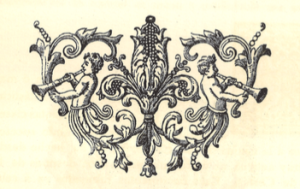 In the end, it was worth it because I now have a beautiful scan of a very useful book. Better than that, YOU can have a scan of it well because it is out of copyright. Perhaps the best thing about this book is that it totally crushes the oft-argued assertion that antiquities in ‘old’ collections are unlikely to be fakes. 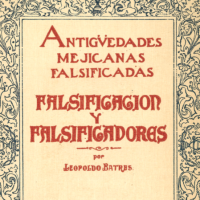 Batres shows that faking on an almost industrial level was common well before his publication date of 1910. 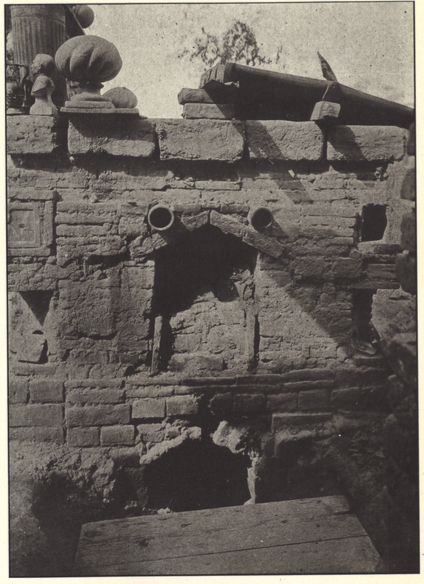 A Mexican ‘antiquity’, with papers proving that it was out of Mexico by 1920 or so, then, is not a safe buy in any respect. It is very, very, VERY likely to be fake. Heck, you don’t even have to take Batres’ word for it, because he actually photographed Mexican artefact forgers on site, vending their wares. 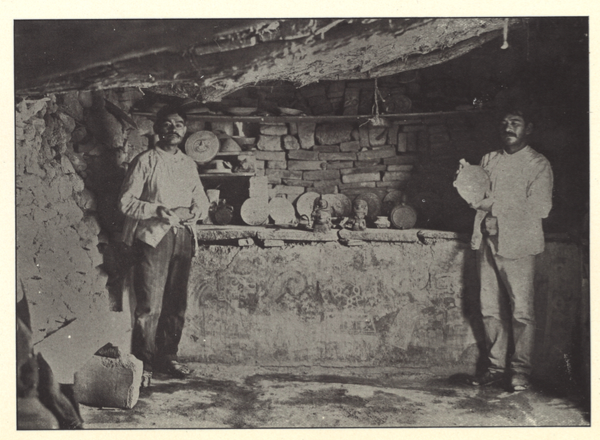 Hermanos Barrios with fake wares on display. Kelker and Bruhns (2011) point out that they seem to be vending atop an authentic mural. The Hermanos Barrios’ kiln for fake makin’. Hermanos Barrios with their fake making moulds. One final thing before I leave you all to delightful dodgy ancient art. This book came out at a time when Mexico was very much asserting a certain national identity via the use of past-based imagery. As such, in Mexico, ancient-ish motifs were blended with global art nouveau then art deco trends to create “neo” design. Neo-Aztec I guess. Other parts of Latin America came up with similar things, such as the wonderful/frightful neo-Tiahuanacota in Bolivia. Neo-Aztec remains part of Mexico’s look. This visual interpretation of a certain type of Mexican past-based nationalism can be seen in the flourishes in this book. 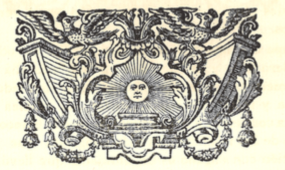 Many chapter headers and dividers have a stylised ancient Mexican theme combined with classic European elements. I LOVE stuff like this. What a treat! Sun over a stepped temple with eagles. European execution, Mexican theme. Angular ancient Mexican je ne sais quoi. Odd double snail mask deal with a Central American band pushed into European style. Note, I am posting this from the UK where literary works fall out of copyright 70 years after the death of the author. Mexican copyright seems to extend to 75 years after the death of the author in this case. 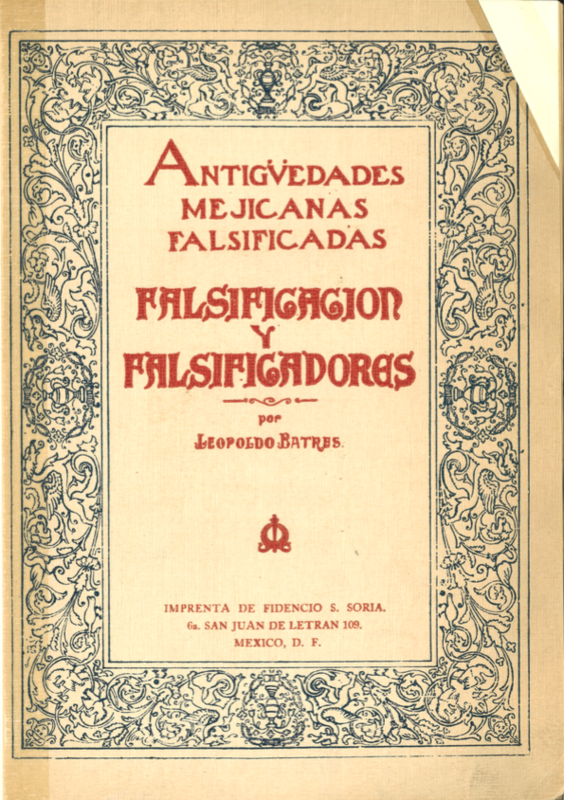 As the author of this volume, Leopoldo Batres, died in 1926, 89 years ago, I interpret this work to be out of copyright in both the country that it was published and the country I am disseminating from.